Cycling in this corner of northern Thailand is irrefutably good for the soul. Sure, you can head elsewhere to watch morning shroud of mist lifting over rice paddies, ribbons of smooth tarmac slithering down tree-lined slopes and top-notch coffee shops punctuating seemingly every road. But if you want all three, every ride, this nirvana of road cycling ought to be next on your list of riding destinations. I’m recovering well all things considered. 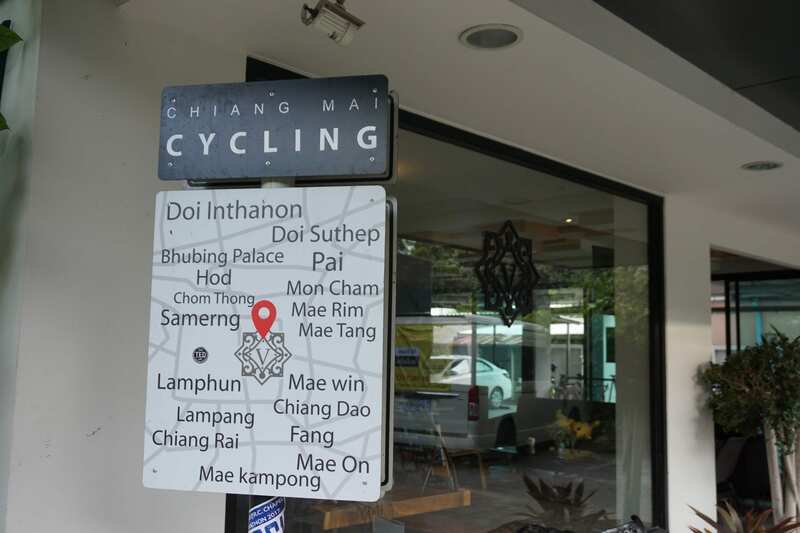 The pangs of yearning have subsided, the wailing is mostly over and I’ve composed myself enough to accept that my life as a cyclist must now be definitively split in two – before Chiang Mai and after Chiang Mai. I’ll admit to playing this for dramatic effect, but the fact is that cycling in this corner of northern Thailand is irrefutably good for the soul. Sure, you can head elsewhere to watch morning shroud of mist lifting over rice paddies, ribbons of smooth tarmac slithering down tree-lined slopes and top-notch coffee shops punctuating seemingly every road. But if you want all three, every ride, this nirvana of road cycling ought to be next on your list of riding destinations. … cycling in this corner of northern Thailand is irrefutably good for the soul. Such is its allure, I allowed a five-day trip in October 2017 to turn into a five-week love affair. 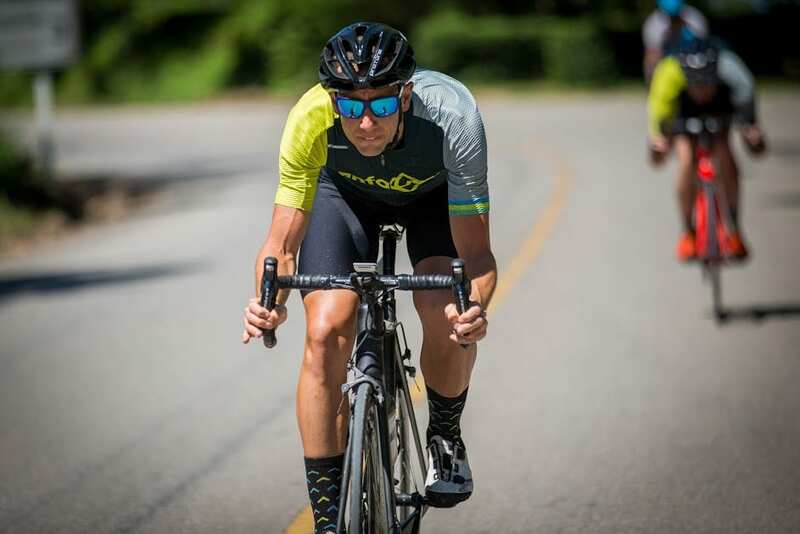 A couple of rides stand out as the highlights but below I’ll take you through a half-day ride that’s a staple for both visiting cyclists and the riders that make up a buzzing local scene – the Samoeng Loop. Leaving behind the city centre, the 121 – known almost universally as Canal Road – speeds south-west, providing a flat, fast route to some of the region’s best cycling. Thai drivers are used to seeing traffic on two wheels and give a generously wide berth. A change of pace beckons after negotiating a right-hand turn some 20 km outside of the city. From here the road heads northeast for 23 km to the summit of Doi Samoeng, rising all the way through jungle and occasional elephant camps. The short ramps early on can be tackled in the big ring and will encourage those with twitchy legs out of the saddle. Be warned, though, over-committing here risks leaving too little in the tank for more stern tests later in the ride. Those eyeing a more sedate pace or in need of perking up would be well advised to swing off the road after 16 km and onto the deck at the rear of Thachang Hill Coffee and Cake. If your legs haven’t yet told you the road has gained some elevation by this point, the sweeping view across dense jungle valley offers confirmation. The coffee is as impressive as the view. If your legs haven’t yet told you the road has gained some elevation by this point, the sweeping view across dense jungle valley offers confirmation. Doi Samoeng forms the next challenge on this ride. Moving on from the café, the road rises sharply to a telecoms mast and relents slightly before delivering a punch of 2 km at 9%. The twisting road drops just as abruptly through a series of switchbacks into the next valley before the most thorough examination of fitness and resolve this ride has in store. The climb to the top of Doi Huay Chok rises 425 m over 5.7 km. So often in this part of the world, average gradients are misleading. The series of ramps along this climb will quickly fatigue any legs yet to feel the burn from earlier climbs. A brisk descent on good roads towards the small town of Samoeng brings the road to a small police box which signals a right turn and the next section of climbing. More gentle than anything which has come before, 6 km at 4.5% leads to a viewpoint which serves up the finest views on this ride. 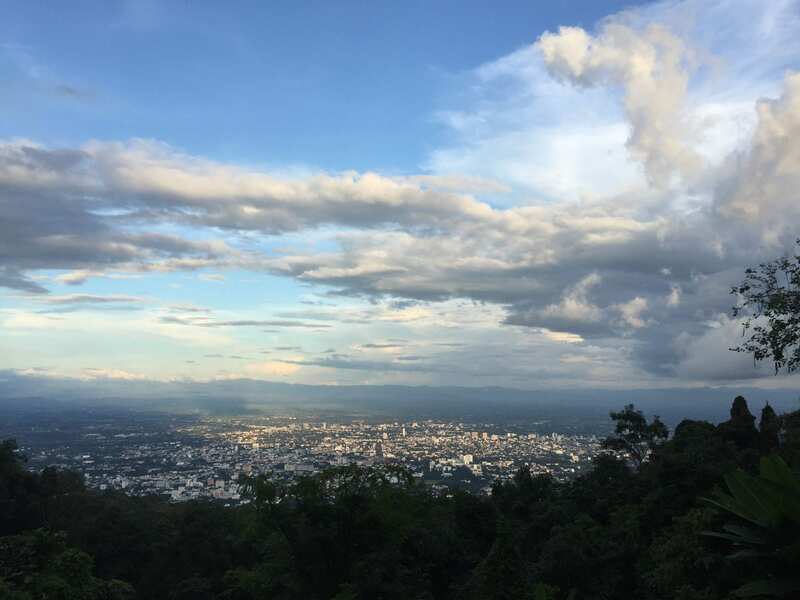 The stunning vista of tree-fringed mountains rolling towards the horizon will leave those riding in Chiang Mai for the first time in no doubt they have made the right choice. A fruit stall which neighbours the pavilion at the viewpoint is a good opportunity to refuel. If the view isn’t reward enough for the climbing so far, the descent which follows will more than compensate. The 1096 back to Mae Rim winds through small villages and farmland, which will be a blur for those who want to push on, but it’s worth pulling up to shove some strawberries from the countless roadside stalls into a jersey pocket. The 107 brings the ride back into Chiang Mai on the highway. October marks the end of the rainy season and the following three months are largely dry and relatively cooler. Pack a gilet for early morning descents. January to April is hotter but still dry. The air quality can suffer as farmers burn back crops. May to September brings the lottery of storms and heavy rain which can make road surfaces sketchy. 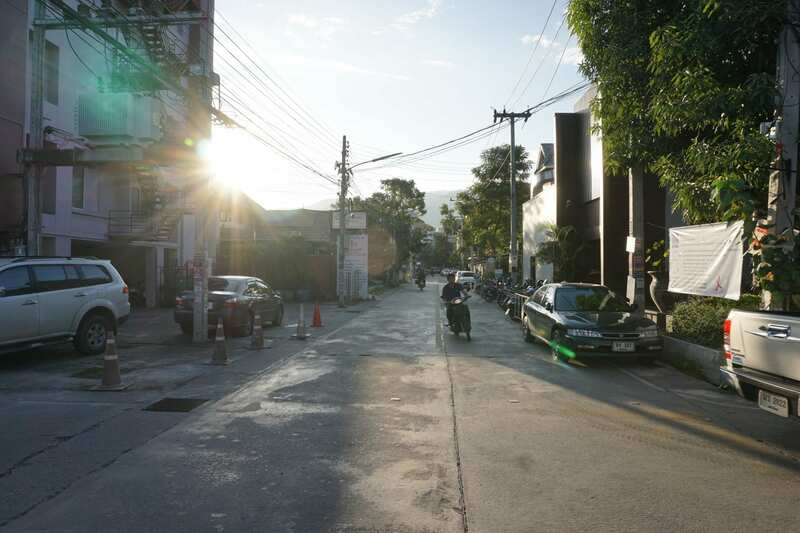 Options in Chiang Mai to suit every budget are endless. For simplicity and cyclist-friendly facilities, it’s hard to look beyond the serviced apartments at Vanilla Residence, which boasts secure bike storage, a bike washing area and decent selection of tools for maintenance on the go. Ed is a journalist and editor who loves to ride his bike. He has spent the last few years living in Hong Kong where he was editor at an emerging markets research firm. After years of dreaming, he gave up the 9-to-5 and upped sticks to Thailand for a life-changing five-week cycling trip. Now back in the UK, he’s exploring ways of combining his experience of developing print and online products with training and racing in the colours of High Peak Cycles RT.